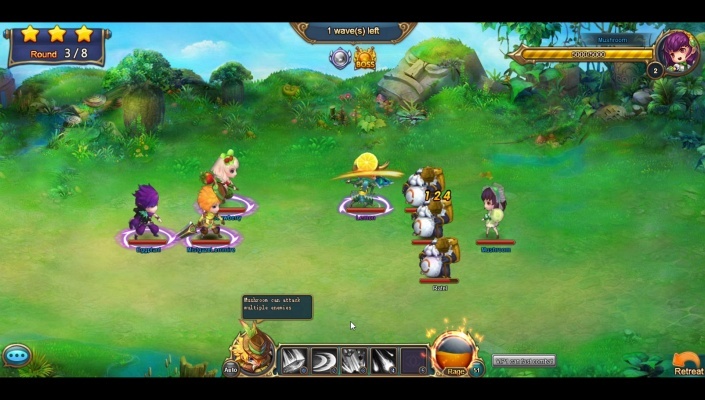 Fruit Warriors is a browser-based fruit themed SRPG, players will be sent to a beautiful wonderland and team up with dozens of cute fruit-shaped warriors for a brand new adventure. 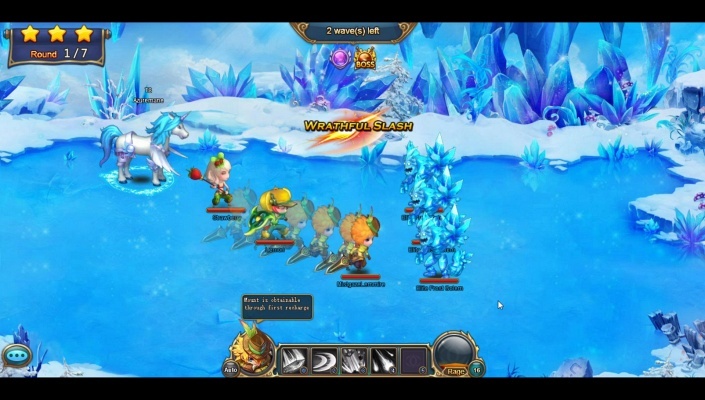 Players can travel anywhere within a fantasy fruit-themed game world. 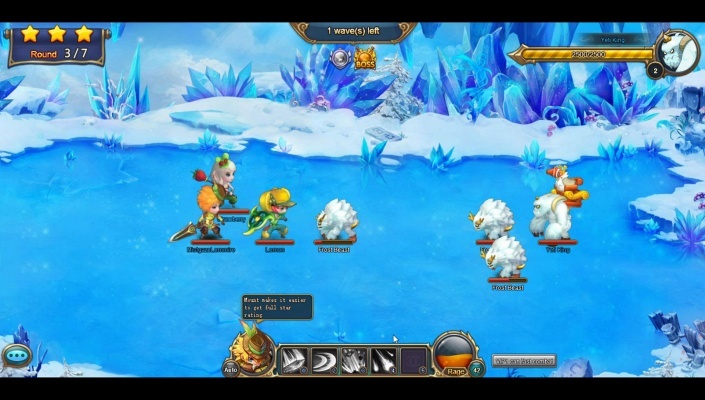 Owning various powerful mounts will improve player’s combat skills and provide fast travel. 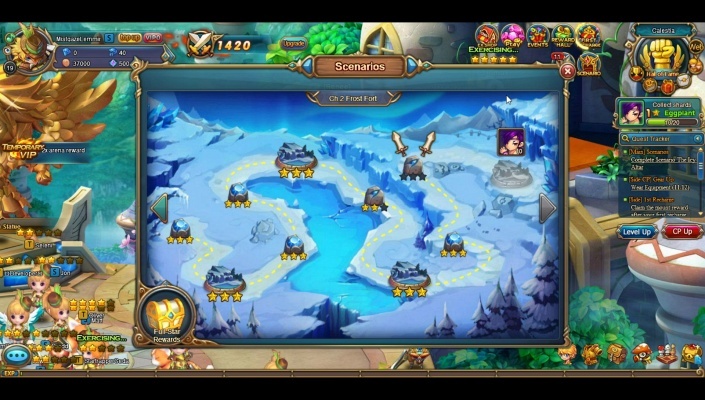 In addition, joining an adventurers’ guild allows players to set up a mighty fruit empire and extend their rule over the lands of Fruit Warriors. The story: takes place on a continent named Heim of the planet Taskana which is six light years from Earth. On this tiny planet a group of fruit-shaped creatures exist which possesses similar abilities to humans. They normally live a peaceful life. However, they have been attacked and invaded by demons that have the desire of controlling the whole continent, if not the entire world. 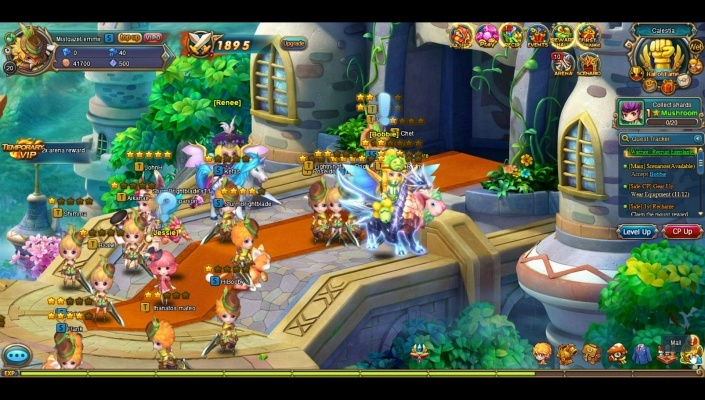 The Prophets of Heim have decided to ask Earth for help and have chosen certain heroes (players) who will travel to Heim through the teleports made by the prophets and fight with allies against the demons. - Lemon, this warrior is sour in more ways than one. Lemon doesn’t play well with others and as such is very defensive in nature. He can turn his thick lemon peel into a helmet to protect himself from attacks, making him hard to be defeat. 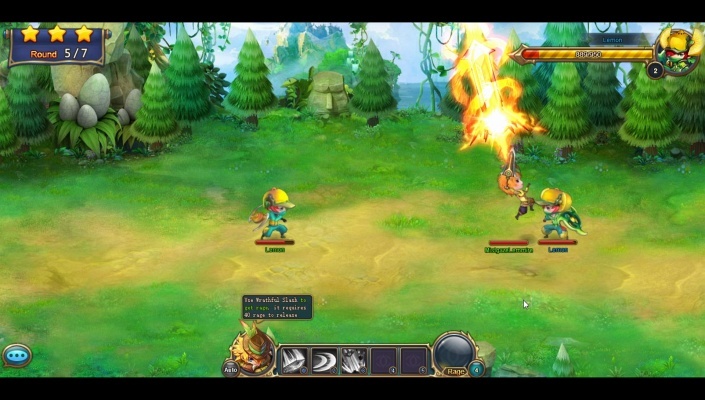 He also has the skill ‘Infernal Chop’ that allows him to regenerate health when attacking enemies. - Banana, similar to Lemon, Banana excels in defence. His armour and shield are made of hard banana peels, which make him one of the best tanks in combat. 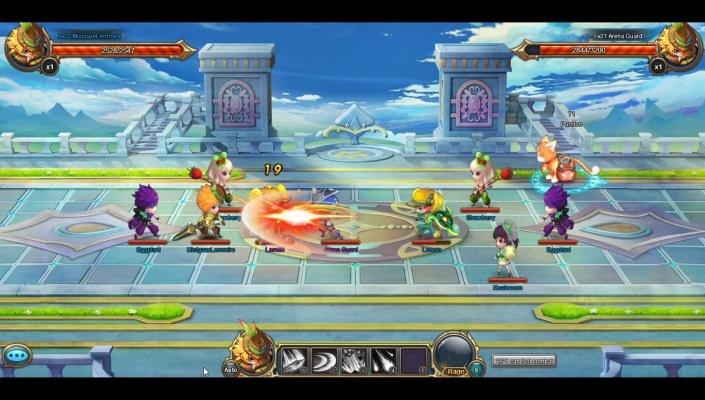 He can absorb a lot of punishment with the skill ‘Soul Shield’ activated. His banana peel is dangerous weapon too. Anyone who is slipped up by it will take huge damage. 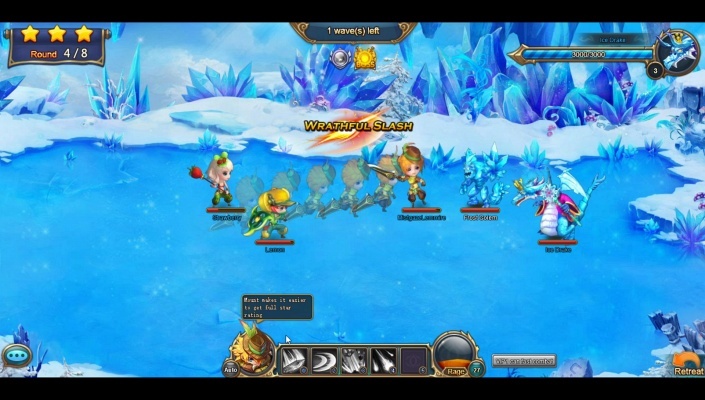 - Durian, durian is the go-to AOE character in Fruit Warriors. He can spit out stinky poisoned gas in battles, which reduces enemies’ attack and causes sustained damage. He can also summon a large durian bomb. 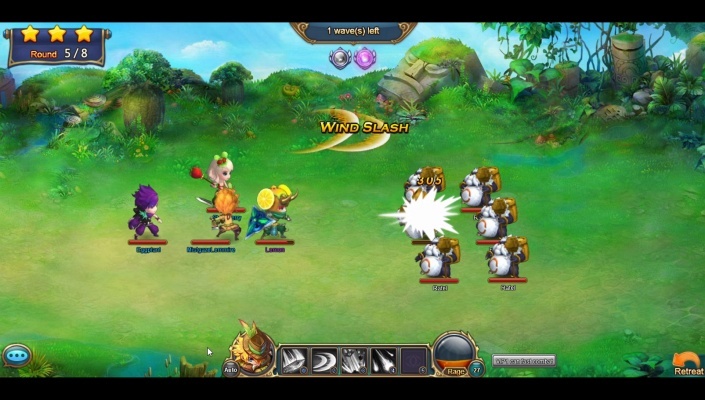 Throw it at enemy to cause enormous damage and a lot of mess. - Pineapple, pineapple is blessed with the abilities of controlling effects and healing. 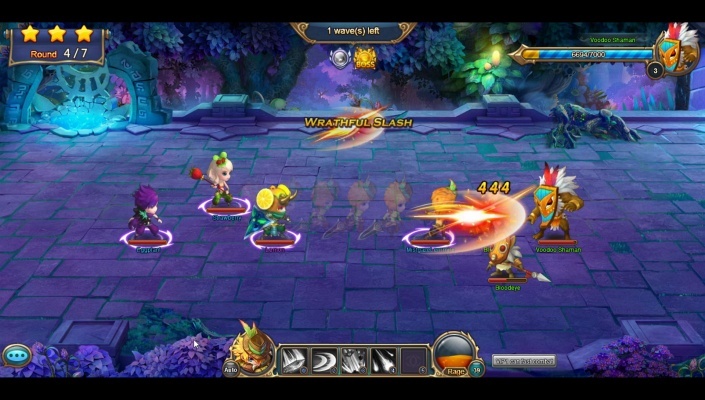 He can cast spells to strengthen his armour, not only providing him with better defence but also having a chance to stun his enemies. His healing spell can get him out of many dangerous situations. - Melon, iast but not least, Melon. 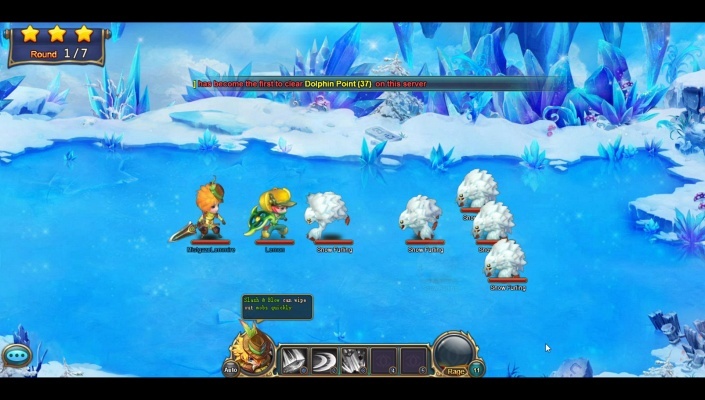 Melon could be considered as the damage master in the game. 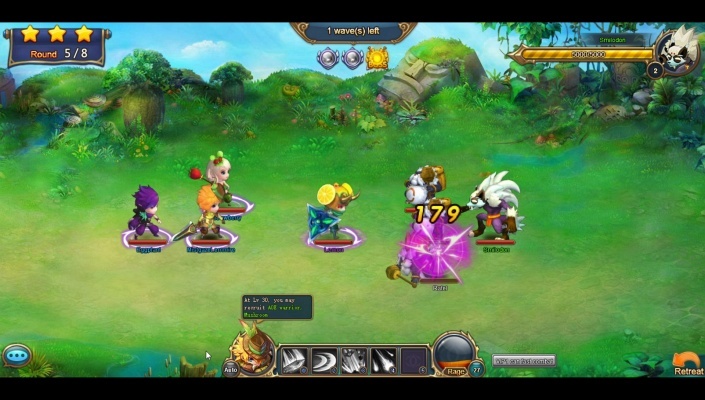 His main spell ‘Flare’ allows him to attack up to three targets at the same time and has a chance to launch the skill twice in a row. 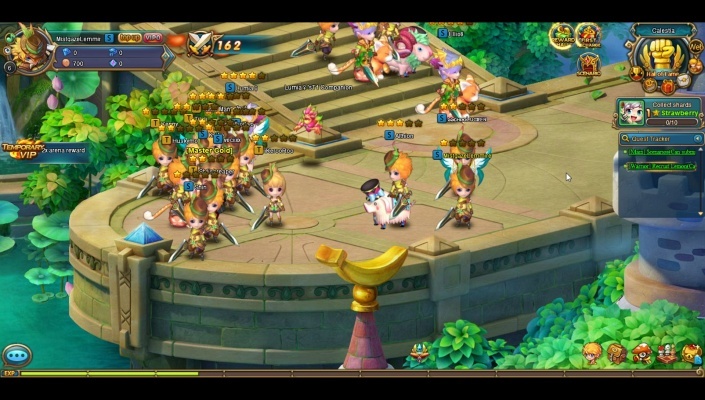 All of the fruit warriors mentioned above can be recruited in the game. 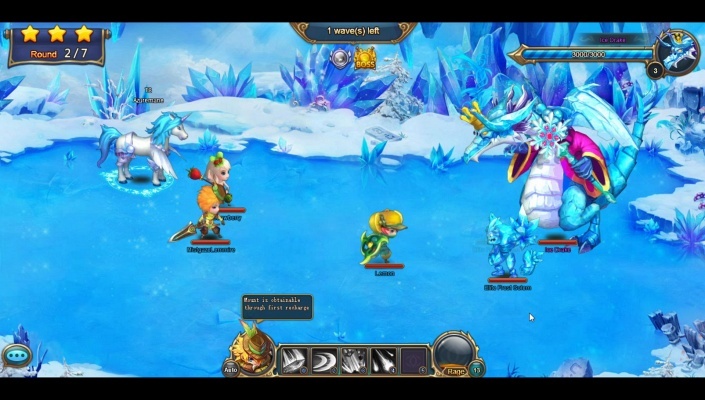 With their various abilities, each warrior plays an important role in battle. Although there is no class division in Fruit Warriors, players can still choose between a male or female hero which allows a high degree of freedom to be offered in hero building. 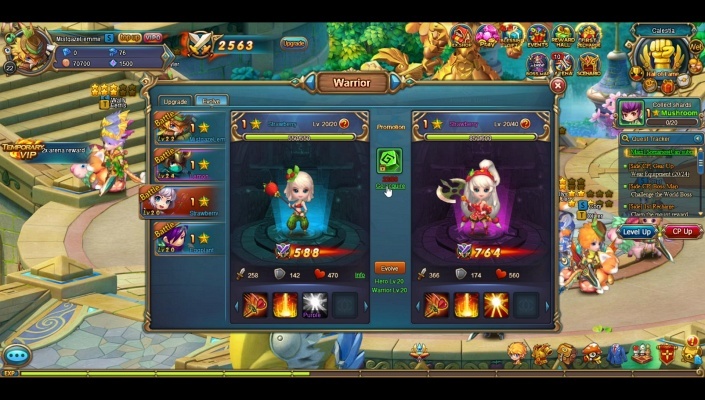 Both male and female heroes possess active, passive and trait skills, among which active skills, including ultimate ones, are not always the same. 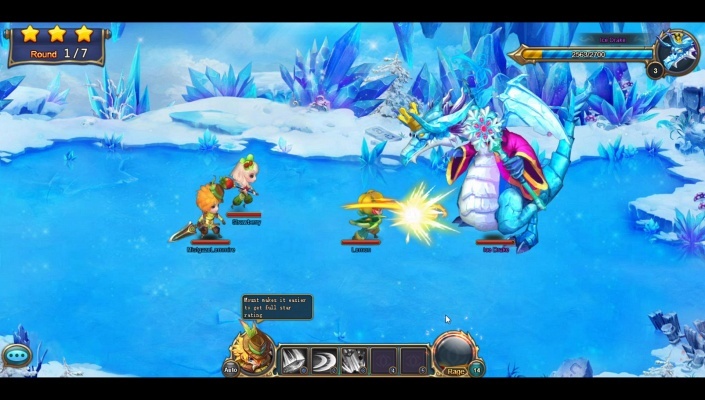 Players are allowed to choose from their unlocked ones and devise their own personal preference for combat. 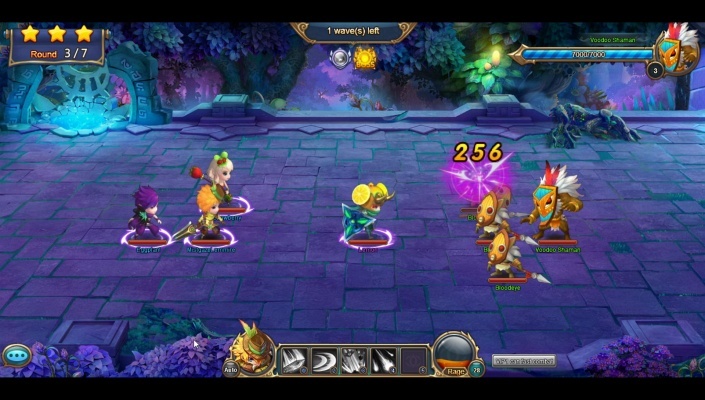 Different sets of skills allow different strategies to be used when facing the numerous unique and dangerous enemies within Fruit Warriors. 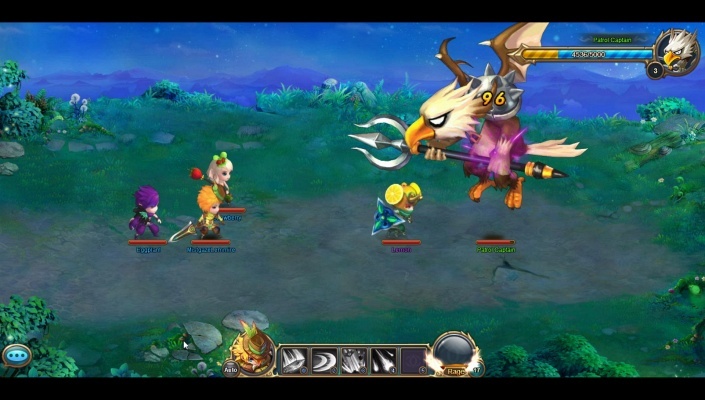 However, to balance game play and allow diversive strategies to be used, there are certain limits in setting a hero’s ultimate skills. 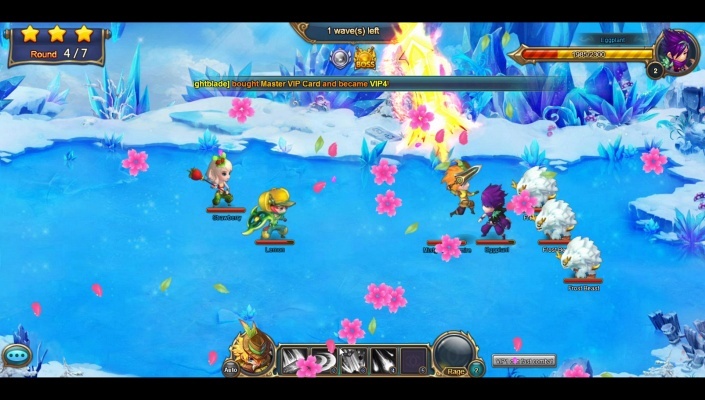 Players can only set up to five ultimate skills at the same time. 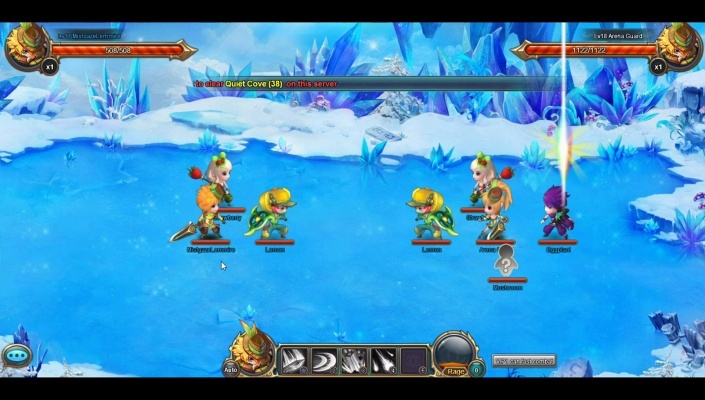 More skills can be unlocked by leveling up the player’s hero, offering more freedom in skill combinations. 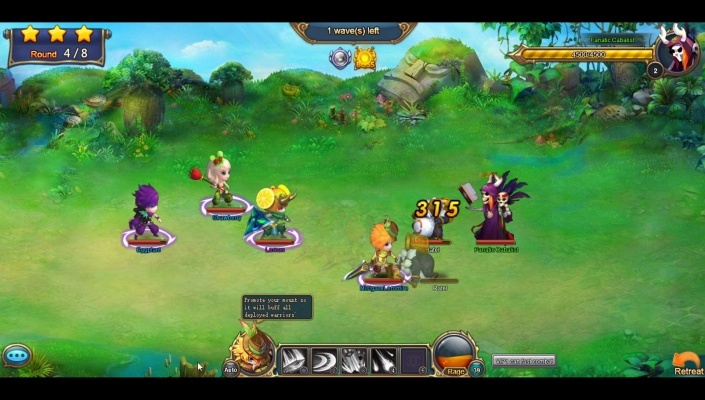 As more powerful skills are used, a larger amount of Rage (a type of mana) is consumed. 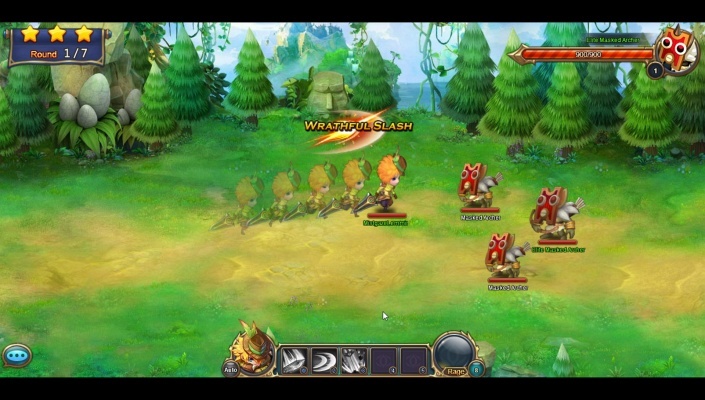 It is suggested that players consider their strategies carefully when selecting skills in case they run out of Rage during combat.